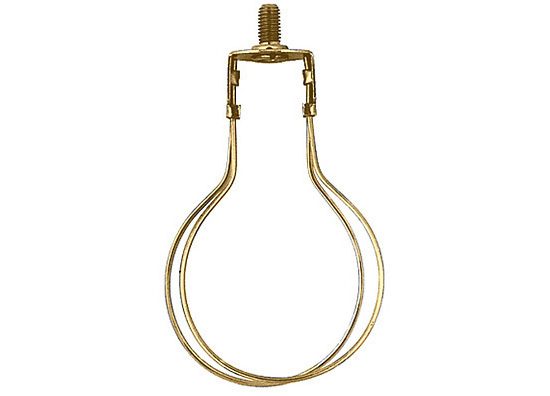 CLIP-ON LAMP SHADE ADAPTER and FINIAL Attaches Shade to Lamp by clipping Adapter onto standard size Edison base light bulb. 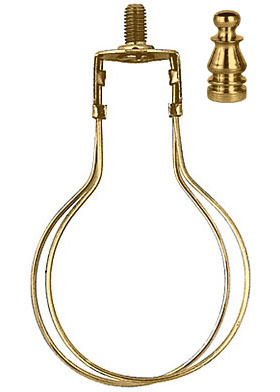 Use with Lamps that Aren�t Equipped with a Lamp Shade Harp. 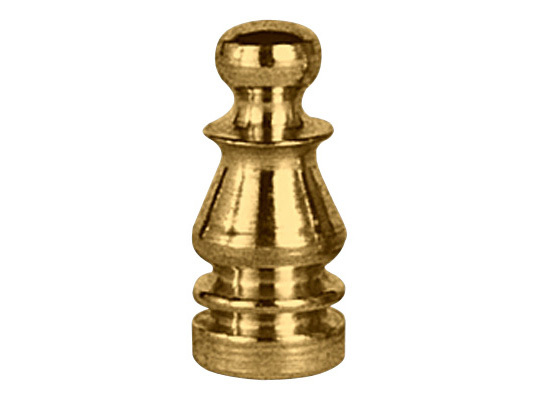 Solid Brass - 1"H x 7/16" Dia. at the base. 1 10 25 50 Qty.